The Sure Strike 40 oz. 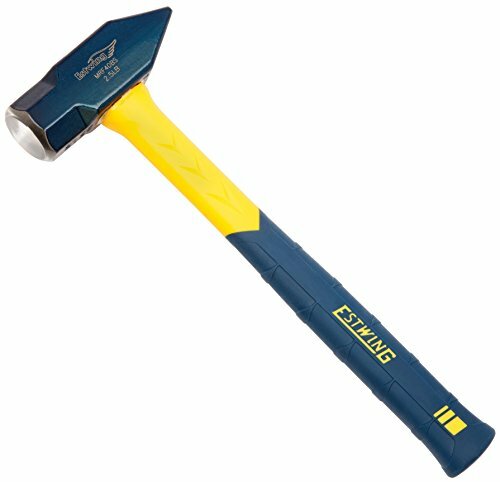 Blacksmith Hammer from Estwing has a forged steel blue painted head which is hardened and tempered and has a New England style head that offers two very different striking surfaces. The face is fully polished and beveled to reduce chipping. This Blacksmith hammer has a jacketed and textured yellow fiberglass handle which allows for heavier blows in an environment where there is limited swing. This is a strong reliable tool you can count on.